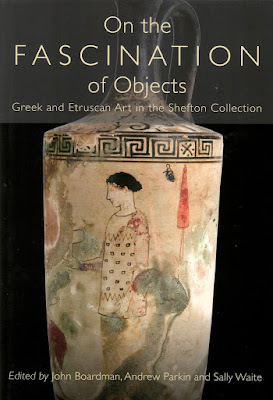 A series of essays on objects from the Shefton Collection now in the Great North Museum, Newcastle upon Tyne, has appeared. This provides information on how Brian Shefton developed 'the Greek Museum' during his time as a member of staff at Newcastle University. My own contribution to the volume included a discussion of an Attic black-glossed bolsal that had once formed part of the Nostell Priory collection in Yorkshire. My memoir on Shefton was published in the Oxford Dictionary of National Biography this week.